2014 has been an eventful year – a year that’s brought us the Ebola virus, the Russians flexing their geographical muscles and the recession was over – and then it wasn’t, and then it was, and now it seems to have loomed its ugly head over the economic trenches once again. How does the events industry respond to this? The events industry is a true measure of how the economy is functioning and its impact is fundamentally important if you’re an events manager, because it can determine how much work you have. Cutting parties and networking events are a quick way to save money for companies as recession looms. The traditional party has given way to more cost effective events, which suit dynamic progressive companies with the old lavish Christmas party now a thing of the past. Future predictions suggest this is a pattern will increase year on year, with other companies and organisations following this trend. Changes to the Christmas/end of year party will evolve into something quite different, either being more intimate, celebrating success via awards or not even being called Christmas parties anymore due to religious changes. Why do you have to have a party in December when everyone is stressed and run down? And of course parties are normally more expensive this time of year. London is the centre of the party season and for Merlin Events it’s a God send to be smack bang in the middle of it. 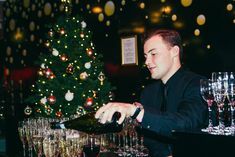 We try and keep venues relevant and in the minds of those planning a party for the Christmas season. The Mondrian and the Ham Yard which happens to be my favourite spot at the moment are excellent hotels adding to the variety of venues on offer in the big city. Which makes my job, and my teams even more challenging. If you want to guarantee an A list party then head towards Madame Tussauds, another great example of a party venue with a unique twist. Last year we saw One Direction and Benedict Cumberbatch holding court. Madame Tussauds has hosted events for over 100 years but remains relevant even in 2014. With 2015 upon us Madame Tussauds will be embarking on its biggest launch in over 20 years. This year has seen a new chandelier and a fabulous new entrance have been remodelled to give a real red carpet feel, ensuring party guests feel welcome and extremely glamorous. 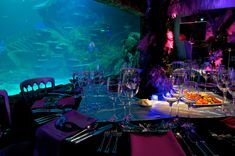 Seated awards dinners and parties are still a favourite at Madame Tussaud’s for party planners and will remain popular. Costs can be kept competitive by purchasing items hired in. A perfect example is what Merlin Events are doing by installing remote pin spots at the World Stage, if you hired these for your party they’d cost about £2,000. At Madame Tussaud’s the price is included. You can tell event professionals are involved with updates of the attraction. My team and I recently spent some time with one of London’s top independent caterers Food by Dish trailing new menus, crockery and service delivery you cannot afford to sit back you need to ensure you remain ahead of the competitors on all levels. The evolution of the party landscape will continue with more “After Dark/Late” experiences to whet the appetite. The Events Industry is hoping that company bosses will appreciate the loss of face contact that’s being lost via Social Media and cost cutting exercises and address this head on. The traditional party season will develop and progress, perhaps into a different animal, who knows?